I am a cat-owner and a cat-lover. But I don't like it when my cat sits on my keyboard and pushes randoms keys and messes everything up. I have an idea to have a function key that turns off the keyboard (except for one special key combination). I know there is already Ctl-S, but this freezes the keyboard and keeps track of the input until the keyboard is unlocked. Is there any way have the keyboard disregard all input except one hard-to-press-accidentally key combination? Bonus points: Is there any way to do the same thing in Windows? Open a tiny terminal window somewhere on the screen and run cat in it. Whenever you want to protect the system from your cat, change focus to that window. Not many people know this but this feature was an important design goal for the cat program :). Unfortunately, really clever cats (like my evil beast) know what Ctrl-C is. It's a feature you probably already know how to use and it's super effective. One can easily activate it with Super-L on most linux systems including the common Debian variants. Control-Shift-Eject or Control-Shift-Power on OS X. All input (except a special unique combination) is blocked and thus provides effective cat-blocking. It's available on most computer systems (including Microsoft Windows). Even the most intelligent cat will not be able to exit vim. type CTRL+ALT+F2 when AFK, and CTRL+ALT+F7` when coming back. when the sloppy mouse option is enabled, it suffices that the cat pushes the mouse outside of the window area of the terminal to redirect the input to application in the background (or the desktop). As a result, the cat command becomes useless because it is no longer receiving any input. some unix/linux installations come with super easy key bindings which switch the foreground application receiving the input coming from the keyboard, again rendering the cat command useless; e.g. on my system, the SUPER key opens the application menu. Opening a vim terminal as @DanJab suggested is subject to the same issues of using a terminal with cat. Locking the session as suggested by @BlueWizard has the disadvantage that one has to type again his/her own password. This is clearly a sensible approach when leaving the computer unattended in public spaces for a long time, but it's a bit of an overkill for short breaks at home, especially when the login password is both long and complex to type. so as to temporarily switch the system to a login terminal. Unless the cat figures out your own login and password or, against all possible odds, inadvertently presses CTRL+ALT+F7, your session should be completely safe. This works on any Linux system that I have tried, requires no extra configuration/script, it's very fast to use and easy to remember. Another option is to acquire a keyboard and/or mouse with a power switch. This is more common for some bizarre reason on wireless devices. I'm more worried about the toddlers in my house than the cats, but "It must have a physical power switch" is on my list of requirements when purchasing an input device. My keyboard already has this feature. It's called OFF ON and it has a tiny switch in it. If a cat can flick that switch I'd be very impressed! 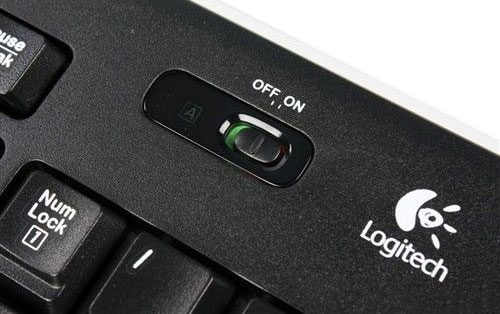 If you're not using a laptop, you could use a hardware solution by unplugging the keyboard. If that's too inconvenient, you could get a USB hub with physical switches and plug your keyboard into that. Possibly keep the hub away from the keyboard. Then you can disconnect/reconnect your keyboard by pressing a switch on the hub. They don't appear to have ported it to *nix though. You might want to consider getting something like this mainly because it also lessens the amount of cat hair that ends up in your keyboard. You do have to spend some money but as added bonuses you don't need to press a key combination, start an app or keep an app running, it works on any OS, and you can still use your keyboard while your cat is there. Also I wanted comment on the suggestion to open vim, but apparently I do not have enough reputation to do so yet. Sadly, Ctrl and Z is too close to each other making it easy enough for a cat to put vim in background and getting immediate access to the shell. Not the answer you're looking for? Browse other questions tagged keyboard-shortcuts keyboard or ask your own question.